Home » Business » Google Gobbles Divide! Google has recently been in a gobble spree acquiring all the nice companies out there. Just few weeks back Google announced it acquired cloud monitoring service Stackdriver. Now, Google has taken-over Divide, a cloud-based device management technology that will help corporates manage BYOD (Bring-Your-Own-Devices) policies. Google was already one of the investors in Divide along with Comcast, Qualcomm, Globsepan Capital Partners and Harmony Partners. Looks like Google is planning to make its Andorid OS more corporate friendly. 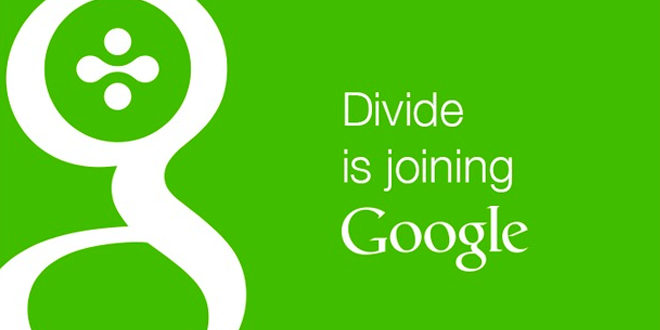 Divide should help it make a strong base. Previous: The Flash TV Series will be awesome!